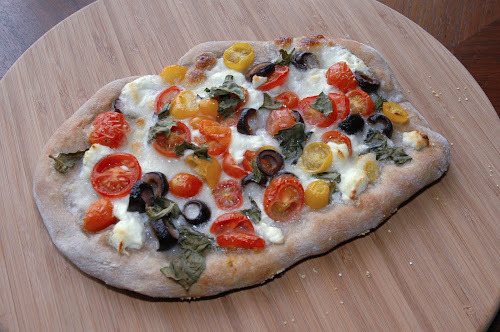 Foodspiration: Fresh Pizza For Lenten Friday- It's Vegetarian! 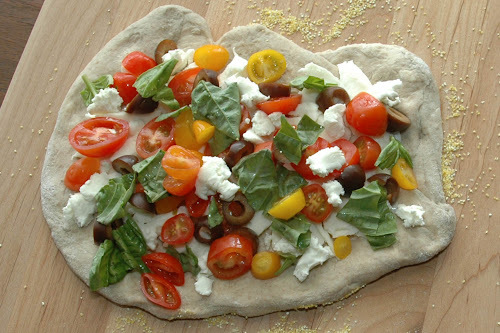 Fresh Pizza For Lenten Friday- It's Vegetarian! It's the Lenten season and on Fridays as Catholics we are not eating any meat. This quick and easy pizza is full of flavor and you won't miss the meat. You will also notice that it is sans sauce...which I think let's the ingredients shine. 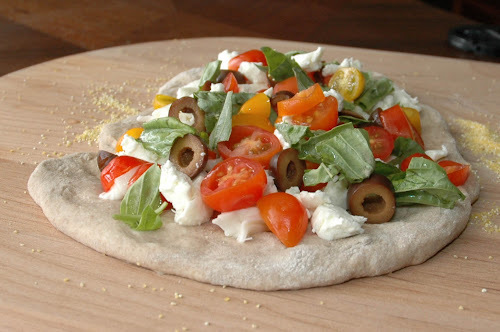 We made this pizza for a Friday meal and using Trader Joe's whole wheat dough from the refrigerated section, it was not only flavorful and homemade but really fast. With a little polenta dusted on the bottom, it went into the oven on the pizza stone at 425F. 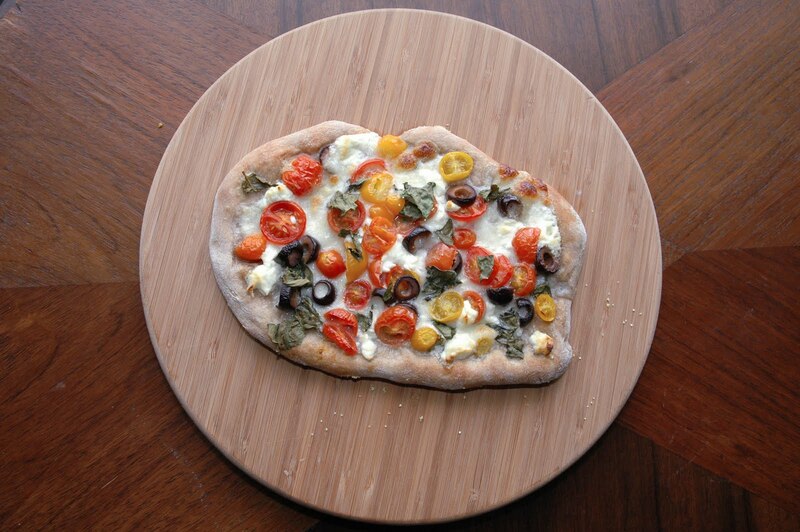 The results...fresh flavors, gooey cheese and a delicious crust you won't leave behind. This sounds like a great pizza Auckland recipe I can try, not just on Fridays! Thanks for sharing your recipe. A Cocktail by the Lake- Yes, Please!